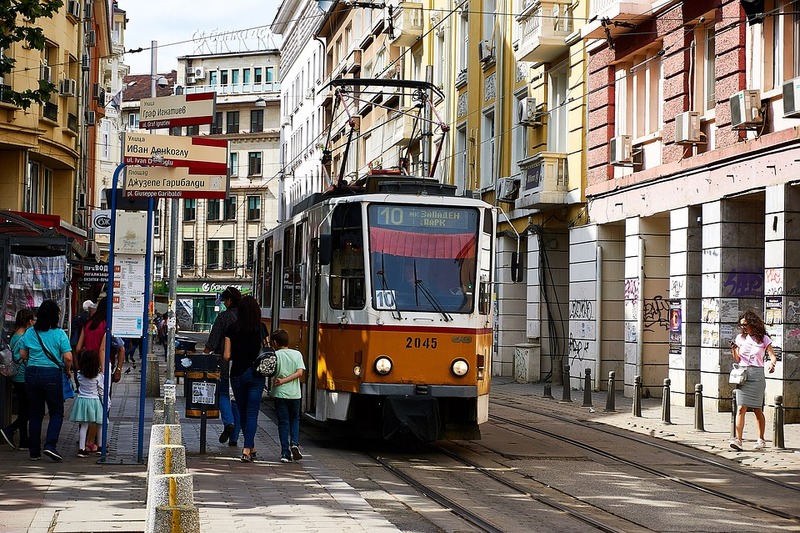 When making your holiday travel plans, you probably have never considered visiting Bulgaria, an East European country rarely mentioned in the news. Yet surprisingly, Bulgaria is one of the most beautiful countries in Europe and it deserves a higher place on your bucket list of travel destinations. Even more surprising is the fact that a visit to Bulgaria is incredibly affordable. You certainly don’t have to be uber-rich or win the EuroMillions lottery to afford a trip to the country. Even luxury accommodations and ski resorts are inexpensive when compared to those available in Western Europe. No matter the time of year, Bulgaria is worth the visit. In the summer months, the beaches along the Black Sea coast attract sunbathers and water sports enthusiasts. In the winter months, the many ski slopes attract skiers from all over the world. In the spring and autumn, the weather in Bulgaria is perfect for hiking in the mountains and for enjoying the country’s many nature parks and forests. Many international airlines fly to Sofia, Bulgaria’s capital, and that’s a good place to start your visit. Staying at a hotel in the city centre is recommended, as all the main sites are located within walking distance from each other. The city’s most prominent landmark is the gold-domed Alexander Nevsky Cathedral, built in the early 1900s to honour Russia’s role in fighting for Bulgaria’s independence from the Ottomans. The nearby Rotunda of St. George dates back to Roman days and is the oldest building in Sofia. Plovdiv, Bulgaria’s second largest city, is one of the oldest cities in Europe. Many of the city sites date back to Roman days, including an amphitheatre still used for cultural events. A walk up the city’s central hill through its Old Town will lead you to galleries and house museums, giving you a taste of Bulgaria’s rich cultural history. Bulgaria is known for its many monasteries but the most important is located a short drive south from Sofia. The Rila Monastery, named for Bulgaria’s patron saint, consists of a colourful main church surrounded by a cobblestoned courtyard. The peaks of the Rila Mountains, covered with snow a good part of the year, can be seen over the monastery walls. Another monastery worth visiting is Bachkovo Monastery, just south of Plovdiv, but it’s quite similar in many ways to the one at Rila. Traveling in the Bulgarian countryside gives one the impression that not much has changed in the last 150 years. The picturesque villages, with their Bulgarian renaissance architecture, are definitely worth visiting. In particular, historic Koprivshtitsa is marked by colourful, well-preserved houses dating to the mid-1800s. On the shores of the Black Sea, make sure to visit Sozopol and Nessebar, two picturesque towns with wood-framed houses and ancient churches, some of them dating back nearly two thousand years. If your main interest is relaxing on golden beaches, you can’t go wrong by staying at the Sunny Beach and Golden Sands mega-resorts along the coast. And if hiking is your thing, the glacial Rila Lakes, high in the mountains, can often be covered with ice even in the late spring. It should be mentioned that there are a number of very busy casinos in the cities and there is no shortage of places to experience Bulgaria’s lively nightlife. One final reason for visiting Bulgaria is its very healthy, local cuisine. The country’s signature dish is called Shopska Salata, which is a variation of the traditional Greek salad topped with grated white brine cheese. Eat that with a stiff glass of rakia, a fruit brandy typically consisting of very high alcoholic content, and your visit to Bulgaria will be complete.